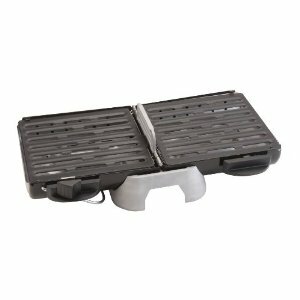 Love this portable Fold N Go Charcoal Grill from Coleman for a nifty Father’s Day gift. It folds up very nicely for on-the-go for a picnic in the park, day at the beach, camping trip or other fun event you have with the family this summer. It’s dishwasher safe too – gotta love that. Get the Fold N Go Charcoal Grill from Coleman for $48.28 with Free Shipping on Amazon. My husband loves to grill inside and out so this year I’m getting him a Himalayan salt slab (from Sustainable Sourcing https://secure.sustainablesourcing.com who I already love for their salt and pepper) and I think he’s going to love it! Jessica – that looks really awesome. We have a Himalayan Salt Lamp so I’m intrigued and will check it out!